their clients to product lines that absorb rainfall while reducing runoff and promote the earth friendly benefits of these systems. Through the use of permeable pavers in driveways and parking areas the amount of stormwater that reaches water treatment systems can be reduced. This will save money for municipalities. Porous pavements detain stormwater and allow it to slowly add to the ground water levels and mimic the natural water cycle. Paved surfaces used for vehicle traffic accumulate pollutants that flow into streams and lakes with the stormater. 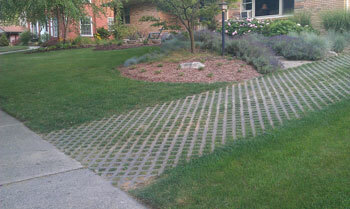 Permeable pavers filter suspended solids, nutrients, and metals through the crushed stone base and aid in the breakdown of contaminants. Experience has shown that even though the initial installation costs more,permeable pavers have maintenance costs that are 30% less than asphalt. you can add more green to your bottom line. Great lawns in Grand Rapids and West Michigan! Lush, dense, green turf is want everybody wants. At MLM that’s our goal too! With the right balance of soil, nutrients, water and timely mowing a great lawn in Grand Rapids and West Michigan can be yours! 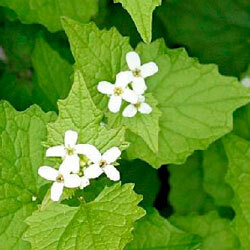 Garlic Mustard in West Michigan…invasive plant! What started as culinary spice from Europe that is now an invasive weed taking over West Michigan? Garlic Mustard. When you see it, pull it roots and all and throw it in the trash. Better move fast because it’s going to seed very soon! Prune now for a bountiful bloom. 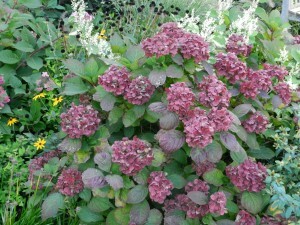 Your spirea and Limelight hydrangea should be pruned now for a better flower show this season! Repairing lawn damaged by snowplowing! The MLM crews have been out repairing lawns damaged by snowplowing. We also repair the damaged sprinkler heads! The crews are making their rounds for Spring cleanups and the great thing about this Spring is that due to less snow cover this winter there is no snow mold! By choosing drought tolerant and, in some cases, native plants, property owners can reduce the amount of fertilizer and water needed to have plants look their best. Another way to reduce water use is with a rain gauge connected to your irrigation system. An EXTRA special thanks for giving us the opportunity to serve your needs! Also a hardy shout out to the MLM team- they are the ones that turn our plans into reality. We are truly grateful that you have chosen MLM as your outdoor service provider. Let our newsletter be your early taste of Spring! Here’s one for you hydrangea lovers! 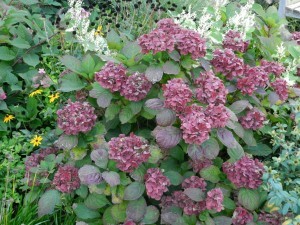 Invincibelle Spirit is a brand new hydrangea from Proven Winners. 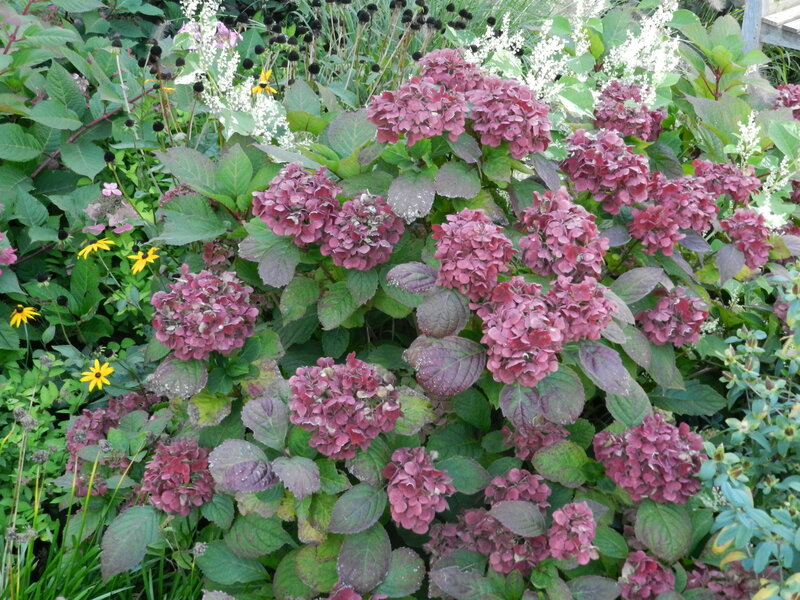 It is the world’s first pink ‘Annabelle’ hydrangea. Invincibelle blooms on new wood. This means late freezes and fall pruning won’t result in loss of flower buds. It blooms continually from early summer until a hard frost. Invincibelle reaches 3′-4′ tall. Also, Proven Winners will donate $1 to the Breast Cancer Research Foundation for each shrub sold. Ask Dan for more information on how this Proven Winner can add beauty and value to your property. Spring might not come fast enough for a lot of us, but it’s only a couple months away. 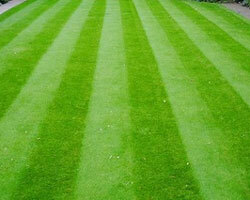 Time to start planning spring cleanups, the first fertilizer applications, and new landscape projects. We’ll be there to help you with it all! Give us a call today! Members of the Perennial Plant Association have voted Baptisia Australis as the 2010 Perennial of the Year. This plant has an abundance of characteristics that have made this a favorite of gardener’s for years: gorgeous purple-blue flowers, hardy, wide adaptability, drought-tolerant, native, non-invasive, relatively pest-free, butterfly attractant, and is not bothered by rabbit or deer! Wow! Baptisia Australis does best in full sun and well-drained soils or tended gardens. It does not divide or transplant well due to it’s long taproot. Native Americans used the plant for a wide range of medicinal purposes. Baptisia Australis is called “False Indigo” because it was used as a dye substitute in place the superior True Indigo of the West Indies in colonial times. Ask us how this gorgeous, low-maintenance plant can get your neighbors talking…in a good way! Do you need to spruce up a corner of a deck or patio? Could your front entry be more welcoming? Container gardening can do all that, with arrangements for each season! We can supply a container or use yours, call for an early spring quote today.